With A2, clients who need even more power have the utmost in flexibility at their fingertips: the ability to create customized views and reports using any and all data about the practice or group. The data can be highly summarized or at the most granular level. Information can be compared across time periods, units, physicians, and much more. 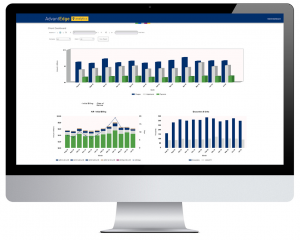 Contact us today for a demonstration of how AdvantEdge Analytics can provide powerful new insights for your practice: info@ahsrcm.com or 877 501-1611.